A Pinole man suspected of molesting four children over 15 years at his home is being held on nearly $47 million bail, police said Monday. Ruben Gonzalez, 60, was arrested at about 5 p.m. Mar. 30 at his home following an alleged chase. Sgt. Matt Avery said police are not releasing Gonzalez's address because some of the alleged victims live there. Gonzalez has lived at the address for about the last 10 years, Avery said. The last alleged molestation occurred about two years ago, according to Avery. The alleged victims were between four and 17 years old and are all family members. Avery would not say whether the alleged victims were his children. Police received a report of the alleged molestations and arrested Gonzalez that same day. Gonzalez was an employee with the West Contra Costa County Unified School District until Mar. 31 when he was fired, school district officials said. 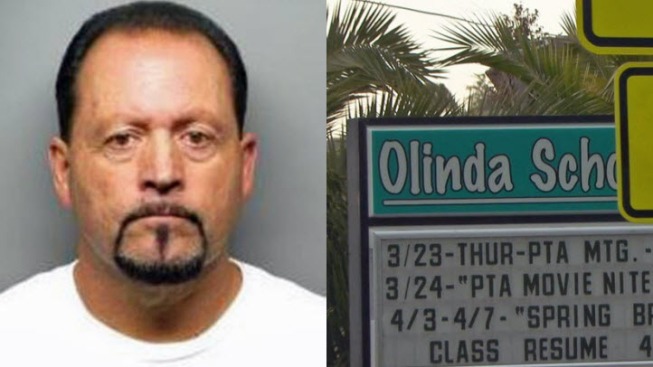 Gonzalez was allegedly on the district's custodial team, which did deep cleaning at schools in the late afternoons and evenings. District officials said they have barred Gonzalez from district property. The youths who were allegedly living at Gonzalez's home are now under the care of Contra Costa County Children & Family Services. Tish Gallegos, a spokeswoman for the agency, said in an email the agency can't say how the children are doing because the information is confidential. Gonzalez has been booked into the Contra Costa County jail. He was arraigned Thursday and the district attorney's office could not say Monday when he'll be in court again. Gonzalez has had a county school district volunteer badge since 2011, but none of the alleged molestations occurred at district schools or on district property, according to school district officials. Gonzalez had worked on the district's custodial team since January. Before that, he worked at Olinda Elementary School in Richmond as a yard duty supervisor from August to December of last year. District officials said their policies require employees and volunteers to clear fingerprint and background checks through the FBI and California Department of Justice. "These allegations are of a serious and disturbing nature and our thoughts are with the victims as they deal with the impacts of this situation," West Contra Costa County Unified School District Superintendent Matthew Duffy said in a statement. Police are urging any other individuals who may be victims of Gonzalez, or anyone else who may have pertinent information, to contact Pinole police at (510) 724-8950.